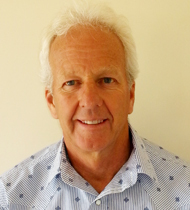 4thway is a specialist consultancy owned and operated primarily by John Dawson. He works with several colleagues who specialise in providing business and management consulting services. He also works with individuals, groups, couples and families providing services to resolve relationship, stress and conflict particularly for men. Working with executives, senior managers and people managers to develop their self-management, relationship-management and social / emotional capabilities is a key focus and area of expertise. Developing these capabilities applies equally in and outside the workplace. John has significant experience in encouraging others to extend these capacities in themselves and improve their effectiveness. Methods used include facilitation, coaching and mentoring, conflict resolution and mediation and therapeutic modalities as required. What distinguishes 4thway is the depth of presence and quality of listening - this enables us to work in strategic, operational and social dimensions at the same time. We quickly gain an understanding of your individual and/or organisation's imperatives and context without becoming identified with the complexities and details. We then hold this as the focus while working with you and/or your teams considerately and objectively. This brings more balance into day-to-day work activities and relationships for your teams and organisation as a whole. Our approach is practical, common sense, collaborative and client centred. It's based on our experiences of social, family and workplace environments in New Zealand and other countries. In working with us, you, your partner(s), colleagues and teams develop action oriented plans that are aimed at getting the right things done. We help you to clear complexity and create understanding, generating engagement, ownership and real contributions in your realtionships, social and workplace situations. Please review 4thway's services and contact us for more information.